Guided by Office Parks is a modular set of architectural components installed to evoke the aesthetics of the ubiquitous office park that has become the newest form of invasive sprawl. 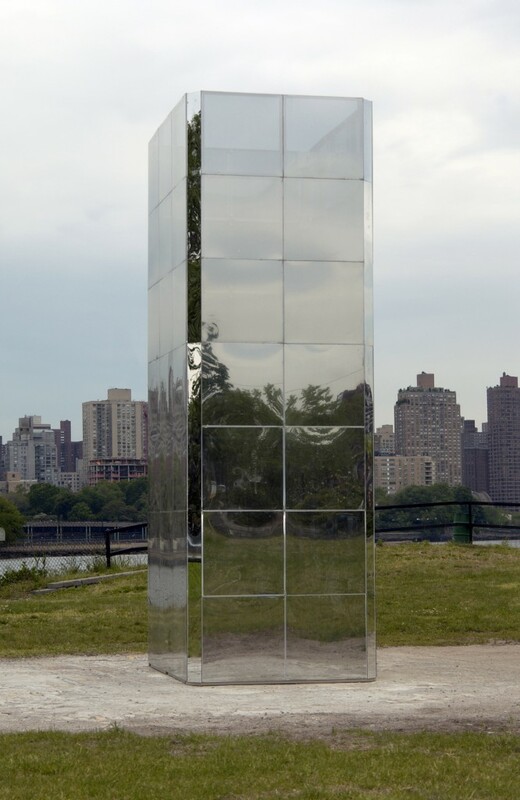 Installed at High Desert Test Sites as a low, horizontal structure, the piece has morphed as Mitchell traveled cross-country to Socrates reassembling the piece in various forms and locations along the way. The final configuration at Socrates is taller, mirroring the skyline of the Upper East Side of Manhattan, across the River from the Park.